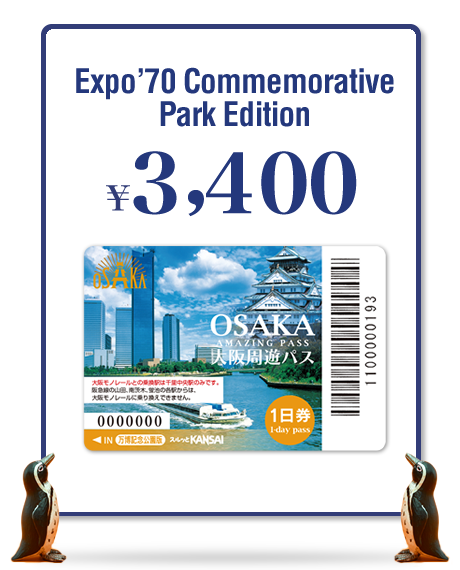 Expo’70 Commemorative Park Edition is a version that added the benefits and access around Expo’70 Commemorative Park area to the “Osaka Area Edition” of Osaka Amazing Pass. It is ideal for those who want to enjoy the Expo Park area using Osaka Amazing Pass. *Children’s rate is not applicable. *You cannot enter inside the Sun Tower with the Osaka Amazing Pass. *Please use the Kita-Osaka Kyuko Railway when you go to Expo’70 Commemorative Park from Osaka city using Osaka Amazing Pass Expo’70 Commemorative Park Edition. Please change at Senri-Chuo Station and go towards the Expo’70 Commemorative Park Station. 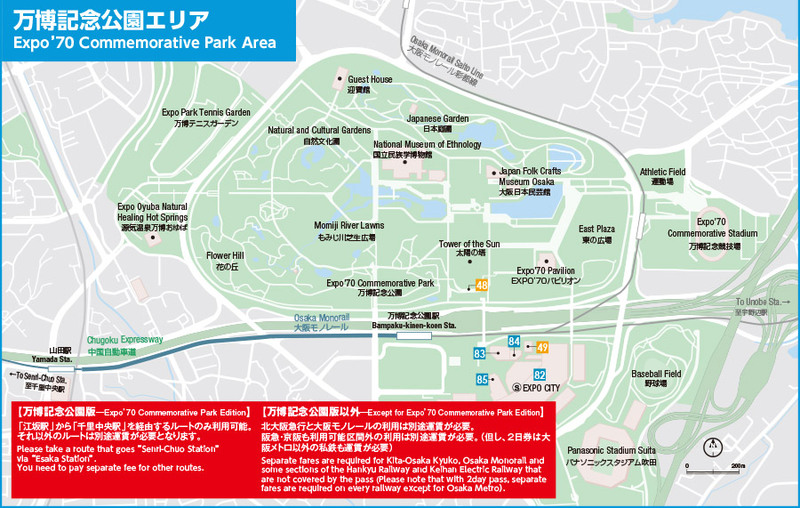 To the Expo’70 Commemorative Park area, you can use the route via Senri-Chuo Station by which you get on Osaka Metro Midosuji Line and Kita-Osaka Kyuko Railway. To Expo’70 Commemorative Park, you can only take the route that goes through “Esaka Station” to “Senri-Chuo Station”. 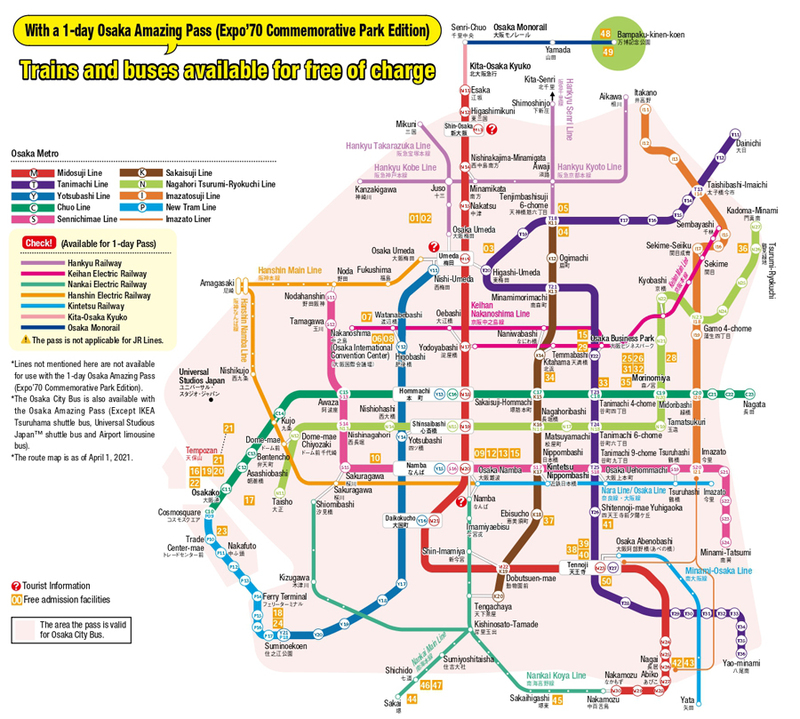 You need to pay separate fee for other routes.